Training is an important part of a dog’s development and strengthens the bond between dogs and owners. Pooches Paradise offers obedience, agility and vocational dog training programs to build communication and responsiveness, plus give owners more control over their dog’s behavior. Mary Sellaro joined Pooches Paradise as the director of training in 2012. A former dog daycare owner, she has been training dogs since 1990. Mary teaches obedience training in group and private lessons, from puppy level to advanced, and helps pet owners train dogs with behavior and aggression issues. Mary is a certified American Kennel Club Canine Good Citizen evaluator and has been the temperament test evaluator for the Children’s Mercy Hospital Pet Pal Program and Pets for Life, Inc. She also developed and implements the Kansas City Retired Greyhounds as Pets (KCREGAP) training program to rehabilitate former racing dogs in preparation for adoption. Mary is a recurring guest and canine behavioral consultant on Talk Radio 710 KCMO and Hot Talk 1510 KCTE. She is a regular contributor to MetroPet Magazine and a published author on canine behavior and training in numerous pet-related publications. We would have been lost without Mary Sellaro’s expertise and her team at Pooches’ Paradise. I was immediately impressed with Mary’s skills and talent, and of course, Bean just loved her! Mary and her team provide us with the expertise and support that has helped strengthen our relationship with Bean through every development stage, and they identify and curtail behavioral issues quickly. If my dog could talk, she’d ask me to take her to school every day! 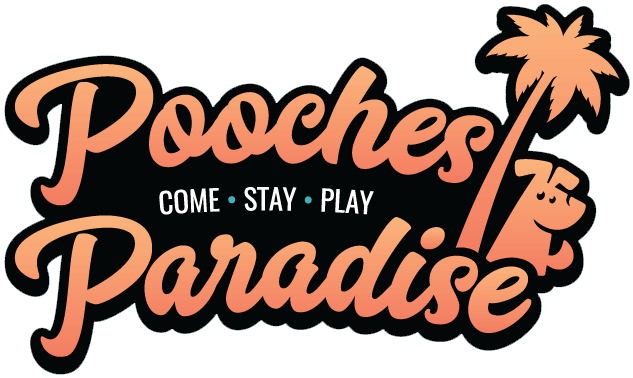 I can’t say this enough: Pooches Paradise is hands down the best experience we’ve had. From the convenient location and evening schedule, to the reasonable pricing, knowledgeable and professional staff. With a ton of help and support during – and outside of – class, Mary Sellaro and her team helped us meet our goals as a successful therapy team! Mary, Jess and Sammi so much that we have taken at least 3 classes and plan on more! I wouldn’t go anywhere else! Pooches Paradise offers 6-week classes for obedience, agility and vocational training. View the Calendar for a current list of training classes and prices. If you do not see a class date scheduled, please let us know you are interested and often we can form a class from your inquiry. See class descriptions below. Private Lessons are a great option for busy clients, dogs with specific behavior problems, owners with a particular goal in mind, dogs not suitable for classes, or aggressive/fearful dogs. Our trainer will meet with the client at a mutually agreed location for one-hour increments. The Daycare Education program can compliment the 6-week training courses and supports busy owners who want assistance in training their pooch. Dogs are dropped off at daycare on Training Class days for socialization and training. Our trainer works with the dog during the day, and the owner joins their pooch for class in the evening. The Training While Boarding program is specifically tailored to each guest based on client goals and trainer recommendations. The program includes daily training sessions, a daily report card, and two in-resort private lessons to educate the owner on how to maintain and effectively handle their pup at home. Pricing: $45, plus the cost of boarding. Minimum investment is $200 in training. This class is exclusive to greyhounds and covers the same topics as Manners 101. Take Manners 101 training to the next level by adding distractions and distance to your pooch’s basic skills. If your pooch is almost ready for the Canine Good Citizen Test, but needs a little polish, this option is for you. This 2-session course includes a practice session with a mock CGC test and then the actual test the following week. This course is held on two consecutive Saturday or Sunday mornings. Requirements: Participants must attend both classes. Reservations required. All puppies will be evaluated for the S.T.A.R. Puppy Test on the last night of the class. This 6 week class will cover sit, down, leash walking, come, leave it and drop it. We will also discuss play biting, chewing, housebreaking, jumping up and other puppy behaviors. Do you want your pup to be more than just adorable? How about talented and adorable? This fun, positive motivation course helps bond you and your pooch through team building trick training. This course is an introduction to AKC Rally sport. It is a fun way to practice obedience exercises which will challenge your pooch, plus develop communication and teamwork. It is a natural progression after obtaining the Canine Good Citizen certification. For those interested in putting your dog’s talent towards therapy work, this course will prepare the handler and dog for volunteering with organization such as Reading Education Assistance Program (R.E.A.D.) or Pet’s for Life. Pooches Paradise will provide information on volunteer opportunities and testing. Prerequisite: Manners 101 or comparable class with prior instructor approval. Age: Minimum 18 months and in the handler’s home a minimum of 6 months. Still not sure which class is right for you and your pooch? Read Which class is right for my dog? a helpful guide on frequent behavior scenarios.